I have more than 50 available. S/H TO ANYWHERE IN LOWER 48 US STATES ONLY. 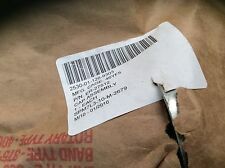 ONE : EATON Power Steering Pump PART NUMBER : BBLF34 ?. NOT SURE OF APPLICATION ?. CAUTION : THIS HAS BEEN SITTING ON DRY SHELF., SHAFT TURNS SMOOTH. BUY AS A BUILDER OR MAY BE GOOD?. PULL OFF OEM POWER STEERING PUMP. THIS PUMP WAS REMOVED DIRECTLY FROM A RUNNING VEHICLE THAT WAS WRECKED IN AN ACCIDENT. FORD OEM: C3AZ-3A674-A. Warranty Information. Fits the 900 series military truck. Fits the 900 series A2 with the CTA engine. P/N AND C/N IS 200-0086-002. THE S/N IS 120209ADR0097. ITEM IS NEW AND READY TO USE. You will not be disappointed. 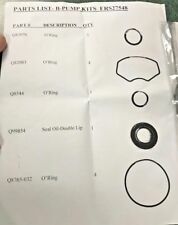 Up for sale is a used Eaton power steering pump pulley for the following applications The bore size is. 675". We are located in Albany, Oregon. These pulleys have a little deeper depth, we provided extra pictures to try and show the depth of these pulleys. 1956-57 Lincoln & Mark II Power Steering Pump Filter. Indistinguishable from the original! Limited production runs to the one off are available. Let us know your needs and we will list them. We then relocated to our current location in Apple Valley, CA. Used good condition ford Eaton 1964/65 power steering pump pulley. START OF RUBBER TO END OF STICK 5-1/2" LENGTH, DIAMETER OF RUBBER APPROX. 1-5/8"........................... S/H TO ANYWHERE IN LOWER 48 US STATES ONLY. ALL OTHERS EMAIL ME FOR S/H QUOTE!!!!!!!!!!!! 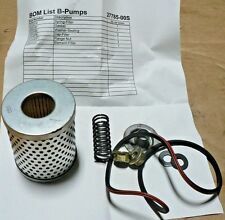 Eaton Power Steerong Pump 02-137032-7 Condition is New. Shipped with UPS Ground. 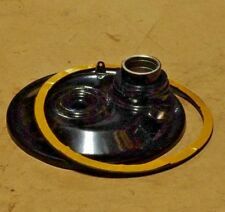 This sale is for One Eaton Hydraulic Power Steering Pump Reservoir Filler Cap. 19954 ER-27512 EATON CORP FLUID POWER OPNS MARSHALL DIV. EATON CORP F. CAP ASSEMBLY. 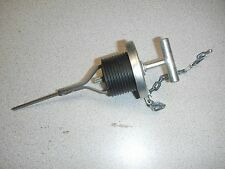 A heavy-duty part. Quality where it counts. 1962-1965 Ford Thunderbird, Galaxie. We don't have any history on this power steering pump, so it is being sold in "as is condition" without warranty. We are located in Albany, Oregon. 1964.5-1965 Ford Mustang with 260ci, 289ci engine WITHOUT air conditioning, rear mount. 1963-1964 Ford Falcon, Fairlane, Galaxie with 260ci, 289ci engine WITHOUT air conditioning, rear mount. We don't have any history on this power steering pump, so it is being sold in "as is condition" without warranty. 1958-1965 Ford full size W/ A.C. USED Eaton power steering pump with pulley and bracket. Up for sale is a used Eaton power steering pump for the following applications We don't have any history on this power steering pump, so it is being sold in "as is" condition without warranty. This is a used pump that turns smoothly and has a good straight pulley. There are 3 brackets and reservoir. We don't have the specific history so the pump is being sold in "as is" condition without warranty. 1964.5-1965 Ford Mustang with 260ci, 289ci engine WITHOUT air conditioning. 1963-1964 Ford Falcon, Fairlane, Galaxie with 260ci, 289ci engine WITHOUT air conditioning. 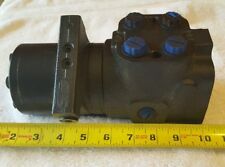 We don't have any history on this power steering pump, so it is being sold in "as is condition" without warranty.